5.5 x 7.5" - Colored Pencil on Yupo paper, matted to 8 x 10"
This was done with Prismacolor pencils on Yupo paper. 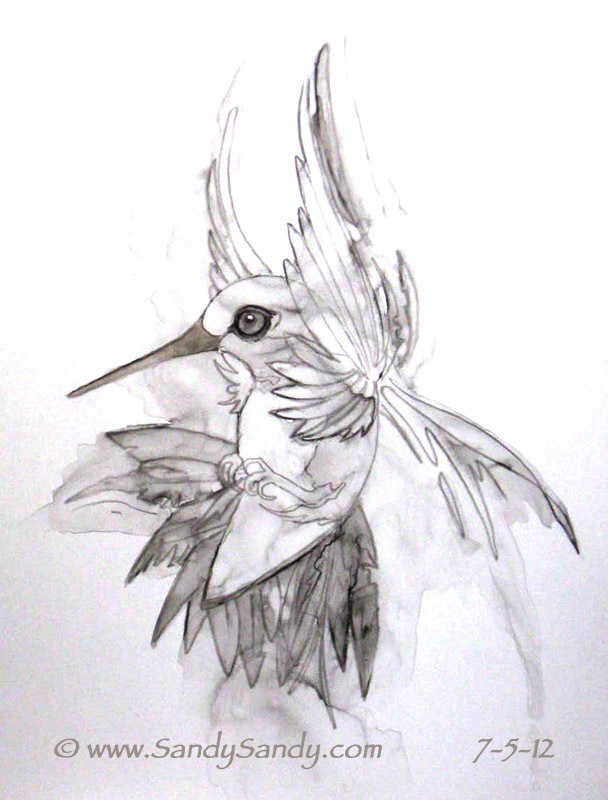 I have never used pencil on Yupo before, but I liked working on the the super smooth surface which I thought yielded an interesting effect. 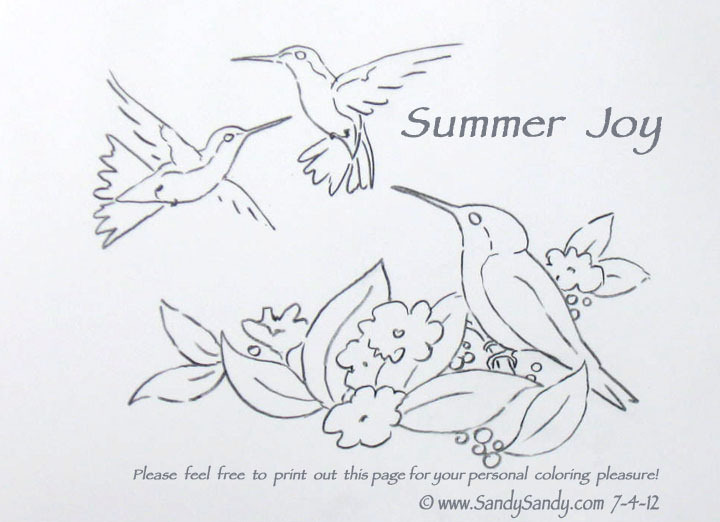 Last month's personal challenge doing the sunflowers and hydrangeas four different ways was fun and inspiring, so I thought I'd do the same thing with my hummingbird sketch. I recently took an online photography course with a man who talked about "failing with a purpose". When I go into a project with this in mind, it frees me up to discover new possibilities. All our pieces do NOT have to be keepers! I find that I learn the most from my failures. We have to allow ourselves that freedom and we don't have to show people everything we do! Doing the same composition in various approaches helps me to to play, experiment and go a little crazy. 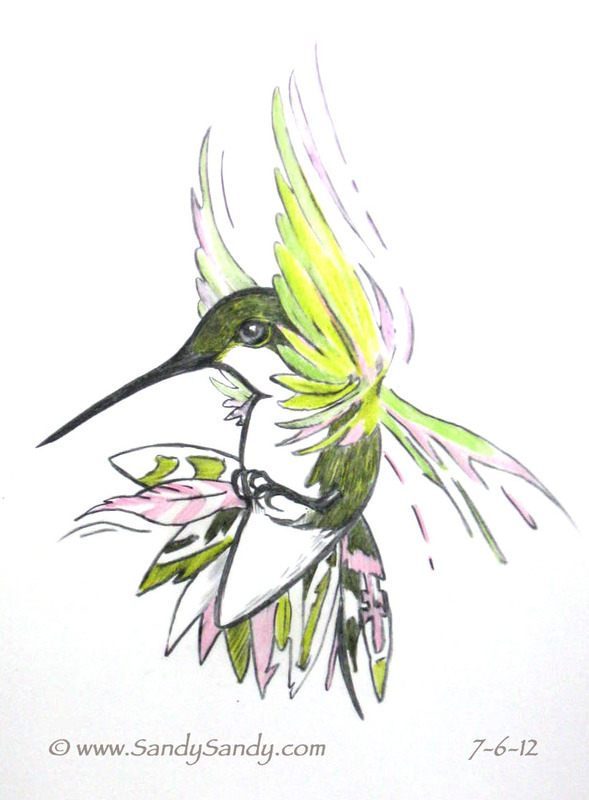 This is Bruynweel design black Aquarel (water soluble) pencil on Yupo paper with water applied. 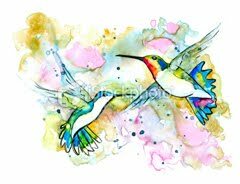 I had never used it wet before and was pleased with the soft effect. This is the line drawing I used for my hummingbird - four - ways - challenge. I know a lot of people, (myself included) like to color. It's a very relaxing and satisfying pastime. Please feel free to print these out for your personal, a friend's, your children's or grandchildren's pleasure. Each line drawing fits nicely on a standard 8.5 x 11" sheet. 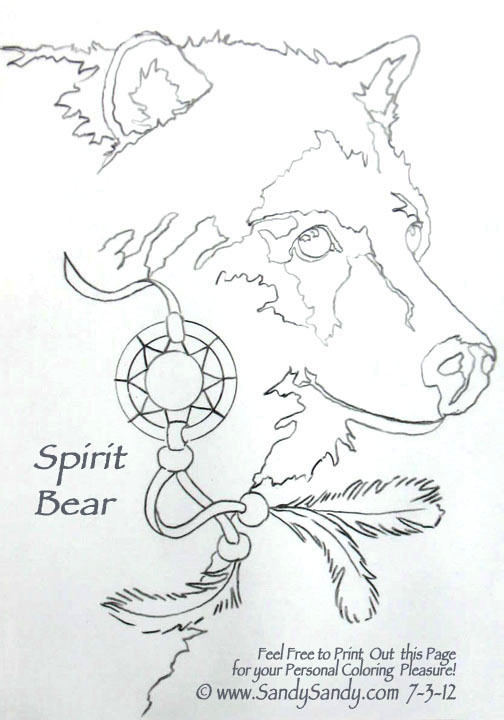 If you do print and color any of these, I'd be pleased to hear about it and would love to see a photo of the end result! I'm still being inspired by the "Spirit Bear". 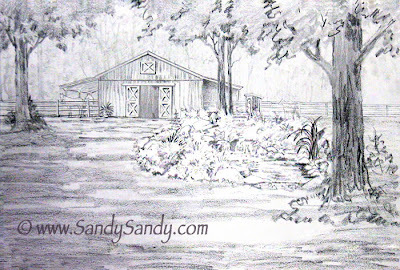 This is my first rough drawing of a barn/yard commission that I have taken on. The client wants a lot of components in the final painting, including a pond, outhouse and horses. This first draft was just to determine a general composition, size, layout and the relationships of the elements. I think I want to simplify the pond a bit so it doesn't detract from the center of interest (the barn). Also I was thinking it would be nice having the silhouette of a horse's head looking out from the open doors of the barn. 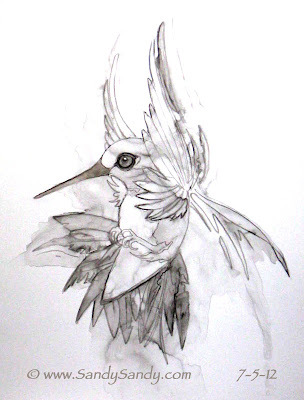 Once I get the owner's feedback, I will proceed with a final drawing (which will also be framed and be part of the final package) before proceeding to the painting. 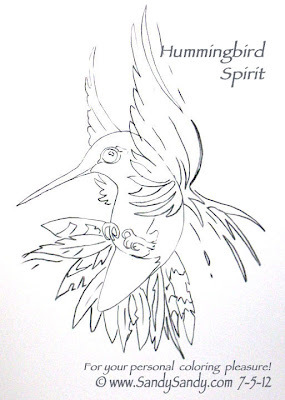 Upon approval of the final drawing, I will give the client a price. I am thinking the size will be 18" x 24" framed. I spent most of the past week experiencing waves of tears and sadness over the loss of my studio kitty, Princess. 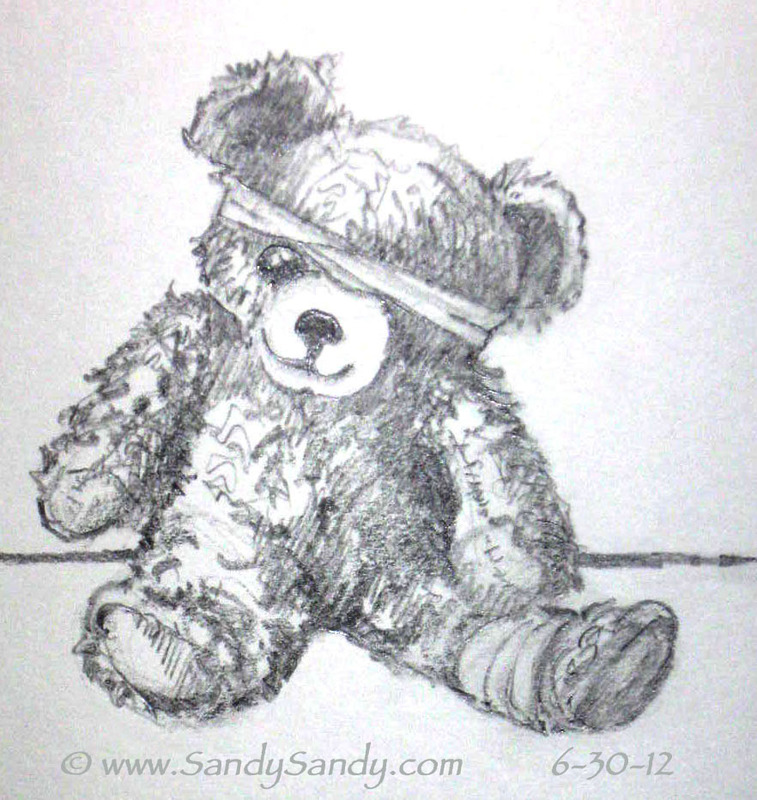 I drew this battered old bear on Saturday which in my somewhat depressed state, I could really relate to. 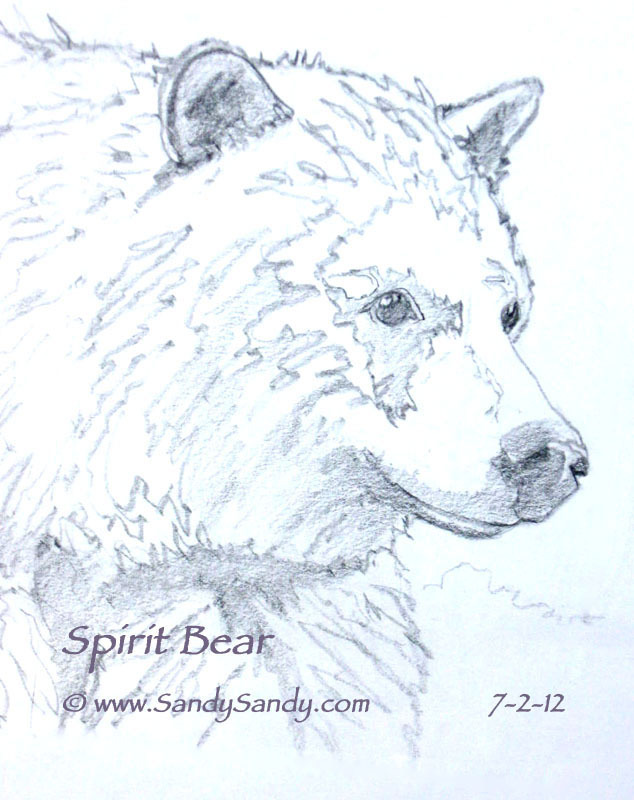 I've got more art, pictures and some exciting news posted on my web log today! Be sure and check it out here!! Thanks for reading! As always, your reactions, opinions and comments on my posts are most appreciated!! These are all absolutely wonderful!!!! Love that teddy bear..........so cute!!! We just got our power back on after a week from that horrible storm......I'm just now trying to catch up with everything I've missed this past week!!!! Thanks Susan. I've been wondering where you've been! Oh you poor girl! Glad you finally got your power back though. Coloring book pages are a great idea. I'll print them out for my little nieces who will be visiting soon. 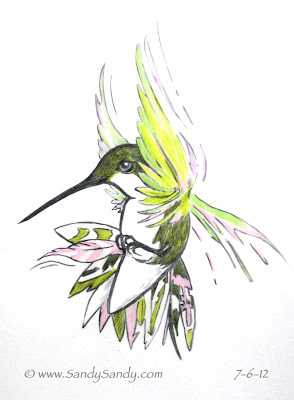 I love the Colored Pencil Hummingbird on Yupo paper. 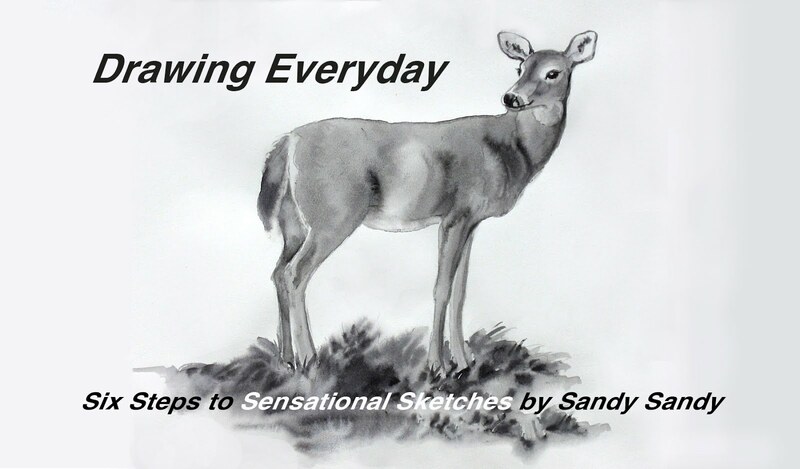 Keep sketching! Hey Carmella! LMK how you make out with printing these out. Some folks have said they are having trouble. If you have a hard time, I'll email you the jpg. files directly. As always, great to hear from you! 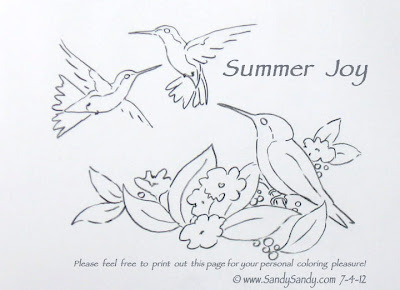 Very generous of you to share your lovely drawings for coloring. They are wonderful! Hey Nora! Thanks for the compliment and your input. Happy creating back at you! !